Why Should You Invest In Cryptocurrency And How Do You Start? It has been 10 years since the launch of the first cryptocurrency, "Bitcoin". Within that 10 years, many different cryptocurrencies have appeared and the cryptocurrency market has been fluctuating up and down. Many people profited exponentially for being in the cryptocurrency market early and many were not as lucky for coming into it late (during the 2017 cryptocurrency bubble). But now that the prices of cryptocurrencies have fallen since its high in 2017, with Bitcoin prices at a low of around US$6500. Is it a good time to invest in cryptocurrency now? Before you decide whether to invest in cryptocurrency now, it is important to understand the reasons why it may be a good investment. Blockchain, the technology behind Bitcoin and cryptocurrencies, is a game-changing technology and it opens up the economy to seamless integration between industries, businesses, communities and individuals across the globe. The fundamental value of Blockchain is that it can provide secure transactional solutions for businesses without any intervention from third-party or middle-man institutions. It’s a technology that has a potential to alter many economic aspects in the future, such as through payment transactions and fiat currency exchanges. Because of the surge of Bitcoin prices in 2017, cryptocurrencies and ICOs have followed suit and become a popular trading assets that could yield exponential returns. 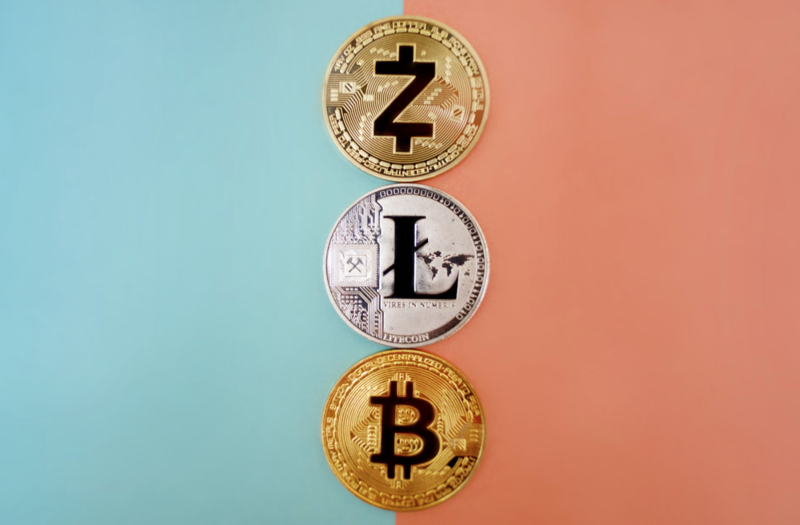 Financial institutions have only started to take notice of Bitcoin and other cryptocurrencies, with many speculating that cryptocurrencies would be a legitimised trading asset in the future. Because Bitcoin is a currency that is not controlled by any institution in any country, there are no factors that can make transactions difficult between individuals and institutions. Bitcoin cuts the need for a "middleman" (removes double-spending), and this makes transactions generally faster and cheaper. Bitcoin is still in its early phase of implementation, so there is still a large room for improvement and growth. Investing in Bitcoin early could yield great returns when it becomes a global system for transactions in the future. We are only starting to see the functions and benefits of cryptocurrency and Blockchain technology. The first step to investing in Bitcoin and cryptocurrencies is getting a digital wallet. This digital wallet will store your digital assets like Bitcoin and other cryptocurrencies, and is often provided by cryptocurrency exchanges when you sign up with them. These wallets store the data of your cryptocurrency and your private and public keys. There are generally two main types of wallets - software wallets and hardware wallets. Software wallets store your cryptocurrency data on the web platforms, or in desktop and mobile applications. On the other hand, hardware wallets store your cryptocurrency data on devices offline. Hardware wallets are generally considered the safest type of wallets for holding cryptocurrencies long-term. Cryptocurrency exchanges are a popular place to buy, sell or trade Bitcoin. These exchanges allow you to change your cryptocurrency or fiat currency into Bitcoin. The amount of Bitcoin you will receive depends on the current exchange rate of Bitcoin. Some cryptocurrency exchanges, like Coinut, makes it easier for trading because it allows you to deposit and withdraw US dollars (USD), Canadian dollars (CAD) or Singapore dollars (SGD) to buy Bitcoin. Most other exchanges only allow you to transact using other cryptocurrencies or tether (USDT), making the transactions more complicated. Direct deposits and withdrawals of fiat currencies, like USD, CAD and SGD, makes buying, selling and trading cryptocurrency more convenient for anyone. Exchanges tend to accept payment via bank transfer or credit card, so it’s fairly easy to transact on these platforms. Buy low, sell high. Amidst the uncertainties in the cryptocurrency market, prices of Bitcoin have recently fallen. This is could be an opportune time to enter the cryptocurrency world and start investing in Bitcoin. Finally, always remember to do your own due diligence in researching about cryptocurrency before investing in them. Learn about Stablecoins, which are cryptocurrencies pegged to stable assets like fiat currency (USD). In-depth analysis on one of the most popular stablecoin, USDT, tether.